Window shutters Newquay by Just Shutters your local experts. 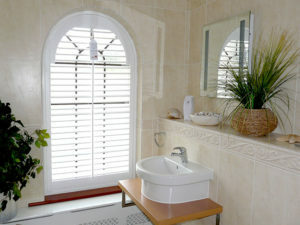 Beautiful plantation shutters from Just Shutters are the finest shutters possible. The widest range, the greatest choice. Lifetime guaranteed! 01872 306442. Just Shutters of Newquay bring you the finest quality and widest range of stunning bespoke shutters for your windows and doors. Adding the wow factor to your home with practicality, style and a lifetime guarantee. See why Just Shutters have earned the best reputation for quality and value, call us on 01872 306442. Made from the very finest quality materials, Plantation Shutters let ambient light filter into your home without compromising your privacy. Adding warmth and atmosphere on those chilly winter days while letting the outside in when the summer is here. Whatever your style we have the range of materials, finishes, louver sizes and colour options to ensure you choose exactly the right shutters for your home and your taste. Not only do shutters look amazing and have a myriad of practical benefits besides, Plantation Shutters reduce your heat loss, improve energy efficiency, add privacy and increase the value of your home. As your local specialist we do not have shutters as a side product or add on but they are our speciality, they are all we do. We will ensure your shutters are expertly designed, crafted and fitted with the care and service you can trust from our long established company. We are here to advise and provide you with a first class product and service at a competitive price, with over 7000 happy customers, whatever you needs, whatever your request, you know we are the experts in beautiful interior shutters. Contact us today for stunning shutters in Newquay and the surrounding areas: 01872 306442 and we will be delighted to contact you. 01872 306442 or follow the links above and we would be delighted to assist you further. Plantation shutters in front and bay windows.